Enlist in the Ace Academy: Black Flight, the Museum’s mobile game. A new mobile game for users to experience unmatched gameplay, graphics and narrative as they climb into the cockpit to fly with real squadrons, over actual historical locations and ascend the ranks to become a First World War Ace. Available at the App Store or on Google Play. Unlock, upgrade and customize the leading aircraft of First World War as you attack airships, rail lines, convoys, and enemy bombers. Test your abilities as you go head to head with top German Jastas in Fokker and Albatross fighters. Experience a rich historical narrative, based on accurate First World War people, locations and events. Discover the major battles and theatres that made First World War one of the most gruelling wars ever fought! Ace Academy: Black Flight was developed in partnership with the Canada Aviation and Space Museum, which helped curate and craft the rich narrative and historical timeline. The game features images of outstanding artifacts and stunning photography, immersing you in the realities of the time. The result is one of the most historically accurate games available for your mobile device. Join the ranks of Black Flight, explore the world of 100 years ago, and earn your place in history. This book is a window into the past, dedicated to the courage and sacrifice of my friends and fellow countrymen. Together, we flew the skies during some of the darkest and most innovative days in history: the Great War and the dawn of aviation. In February 1917, I was transferred to Naval 10, a new squadron just formed at Saint-Pol in France, near Dunkerque. My two partners in crime at the time were William “Ollie” Smith Oliver and Gerald Nash. We worked hard, and played harder. The boys in your squadron quickly become your family. We were in this thing together. I don’t think you can really understand what that’s like unless you live it. 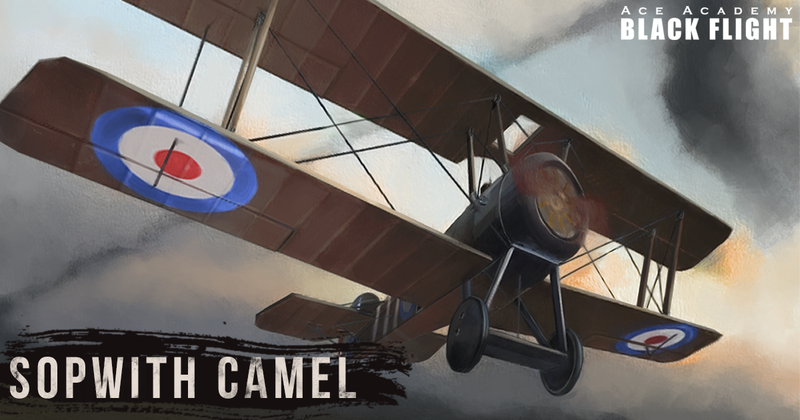 Towards the end of the summer, we were re-equipped with the new Sopwith Camel. We got into bombing that September, which was our role in the battle for the Menin Road Ridge. While the troops were fighting hard on the ground, we bombed rail lines, convoys and aerodromes, and attacked enemy positions on the ground. In the end, what were we fighting for? Freedom? Empire? I’m not really sure. All I can tell you is that most of us were fighting for each other. Millions of lives were lost and millions more changed forever, all around the world. Few families were left untouched by the horrors of that war. So I honour them by remembering the sacrifice of all those who died, far from their homes and loved ones. And I hope you will too.